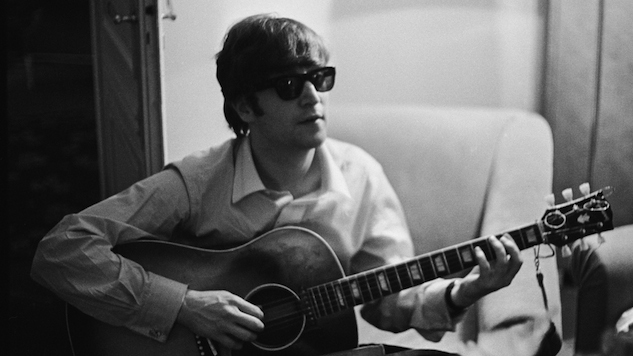 Beatles guitarist and singer-songwriter John Lennon would have turned 78 years old today. The singer was born in Liverpool, England on this day in 1940. 45 years ago, Lennon played two rare solo shows at New York City’s Madison Square Garden on Aug. 30, 1972. That afternoon and night, Lennon headlined the Garden’s “One to One” benefit concerts, organized in support of the Willowbrook Home, a facility for learning-disabled children. Those two shows turned out to be his last full concert performances. The bill also featured Sha Na Na, Roberta Flack and Stevie Wonder. The show came right after Lennon and his wife, Yoko Ono, released their political LP, Some Time in New York. His Madison Square Garden performance consisted of his solo hits, “Imagine” and “Mother,” a Beatles’ song, “Come Together” and tracks he recorded with Yoko Ono, “Give Peace a Chance” and “We’re All Water.” Stevie Wonder, Roberta Flack and Sha Na Na joined Lennon on stage for “Give Peace a Chance,” in what would become one of Lennon’s most historic performances. Listen to John Lennon’s show at Madison Square Garden from 1972 below.